The second week of the 2019 legislative session was a lot like the first. There was generally little progress while sideshow attractions continued to dominate the day. The House finished out its second week without organization and it gavelled out of its session today without any more public-facing progress toward organization. We’ve heard there’s talks underway of some sort of power-sharing agreement between the two dug-in sides. There’s more detail on the plan in Friday in the Sun, but the basics would be everything would be shared. We’re talking co-committee chairs, co-Rules Committee Chairs and even a co-speaker. There’s no timetable for when to expect something and the details of the plan were described to us as sketchy. Still, if it’s generally agreeable we’d expect to see things get rolling quickly. House members are getting tired of sitting around. 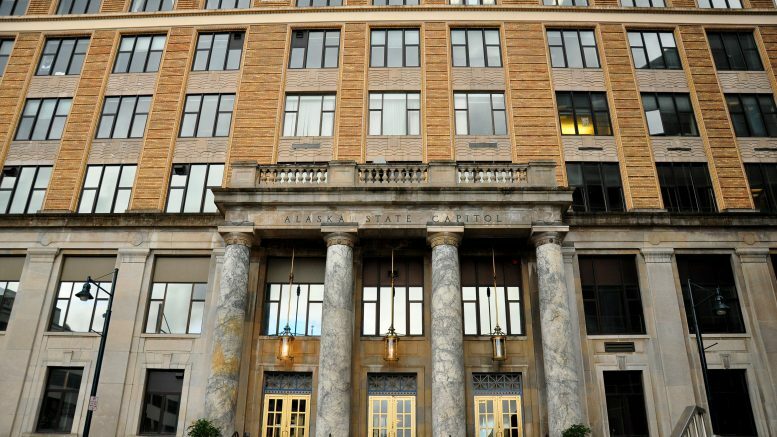 The Legislature heard its first bill hearing of the 2019 session on Friday when the Senate Judiciary Committee heard Sen. Tom Begich’s Senate Bill 8. The legislation would limit online access to the criminal records of convictions for marijuana possession, which is no longer a crime with the legalization of recreational marijuana in Alaska. It’s identical to a House bill that worked its way through the process last year, clearing the Senate Judiciary Committee before it died in the Senate Finance Committee. Unlike last year’s bill, Senate Bill 8 doesn’t have a date with the Senate Finance Committee and was only referred to the Senate Judiciary Committee. The lockdown of the records is similar to other concepts that have been put forward and would only seal records when the only conviction is a marijuana conviction. Departments and other background checks would also still have access to the records. The committee ran into questions about how it’d affect people with multiple convictions or possibly minors. According to a report by the courts, the legislation as written would affect about 700 cases. With the pledge to “match expenditures to revenues,” everyone’s bracing for big cuts to come down the line. What will be interesting to watch for is just how serious the administration gets about repealing programs through statutory changes. As we’ve heard plenty through the budget processes in years past, much of state spending is effectively required by state laws. That’ll put at least some of the efforts to cut the budget back into the hands of the Legislature, which is in the tricky spot of working with a cuts-focused governor who also happens to have the power to issue line item vetoes. Though the administration is against any kind of changes to statutory revenue (taxes), it appears that it will be considering changes to regulatory sources of revenue (fees and licensing). Again, just what that will be is unknown. With the Senate getting the confirmation hearing process underway last week, Gov. Michael J. Dunleavy’s appointees are already falling under the scrutiny of legislators, staffers and the media. There’s certainly some good nominations among the pack, but suffice it to say there are already some red flags that are popping up among the field. Department of Administration Commissioner-designee John Quick resigned on Thursday night after allegations that he lied to the Senate and on his resume came to light earlier in the morning. The foul-mouthed Art Chance also ended up declining a position (at least that’s the official story) after his behavior on social media came to light. Francis replaces Gerad Godfrey, who is a victim of violent crime. His dad was shot and killed and mom was shot and badly hurt in 2002 by his dad’s mistress. Francis is listed as the Co-Founder, Tech Manager, and Lead Investigator of Alaska Ghost Hunting. His bio includes, “My first major experience with the Paranormal was in the U.S. Coast Guard. Two of us were performing CPR on a man who’d suffered a heart attack. When he died I felt his soul pass though me where I could feel the mixing of his thoughts with mine. It took me several days to come to terms with what happened and it changed my life forever.” Whoa. Confirmation hearings will continue this week with Department of Fish and Game Commissioner Doug Vincent-Lang today, Department of Transportation Commissioner John MacKinnon and Attorney General Kevin Clarkson on Tuesday, and Department of Military and Veterans’ Affairs Commissioner Col. Torrence Saxe on Thursday. Be the first to comment on "AKLEG Week 2: A lot like the first week"